Toys and social consciousness rarely work together: the toy is either inherently anti-environmental (use of synthetic fibers, for example) or they are so outrageously costly that they seem to be more of an investment than a toy. Not so with Xeko Pals. 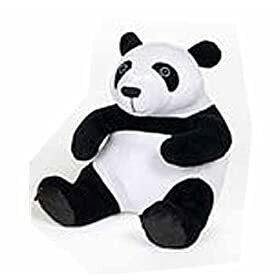 Based on characters from the Xeko Trading Card game, Giant Panda, Sumatran Flying Squirrel, and Hairy Eared Dwarf Lemur are the three plush toys available as the Xeko Pals. The cute animals are tied in with the Xeko game website as well. Matter Group, the makers of Xeko Pals donate 4% of sales to Conservation International. Created with soy fabric and stuffed with soy filling, Xeko pals are soft to squeeze and hold. Each pal comes complete with a tag that’s filled with fact, a mission statement to the Xeko Agent (for the game website), and a Mission Code which can be used on the Xeko Game website in order to unlock a secret game or item. In the end, raising awareness for animal causes is great and very important, but buy the product to raise awareness within your own home, not the amount of money that goes to Conservation International. The math roughly comes to 80¢ per Giant Panda bought. That is something, but it does not tip the scales heavily in one direction.